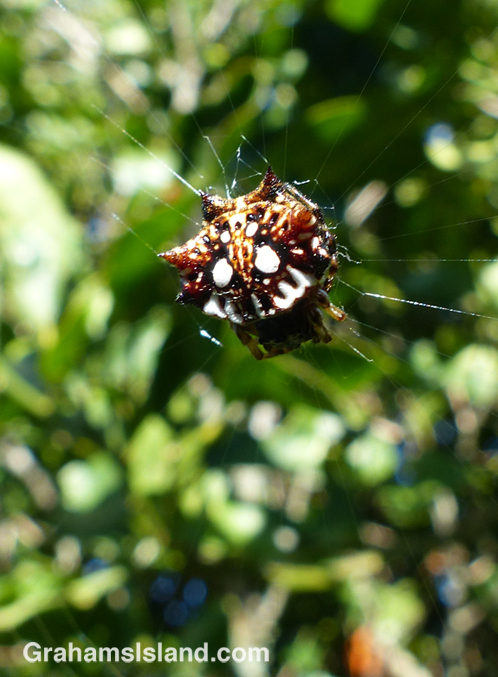 Crab spiders (also known as spiny-backed spiders) came to Hawaii in 1985. They spread through all the islands and are especially numerous here in the winter months. 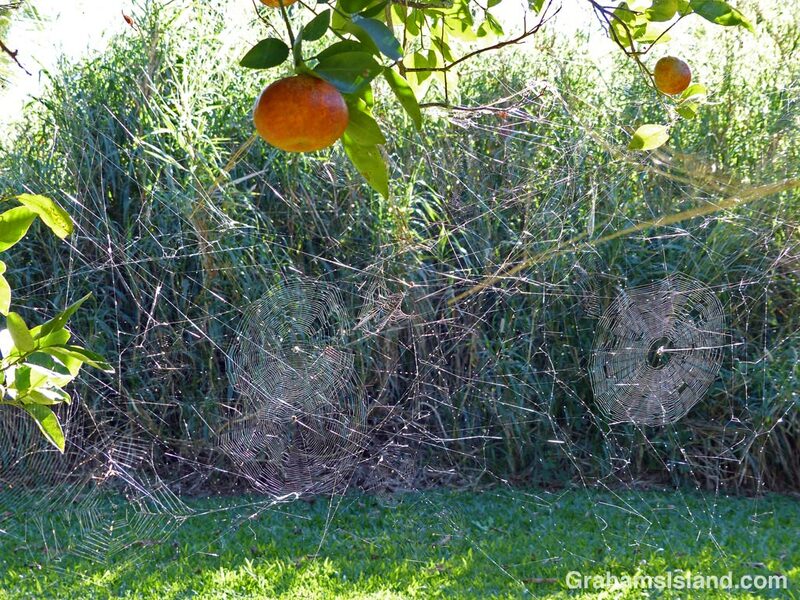 They build dense thickets of webs such as these between two tangerine trees. They look threatening, but aren’t particularly. People do get bitten, mostly if a spider falls on them or gets lodged in clothing. I usually encounter them when I miss spotting a web and end up with it wrapped around my head. 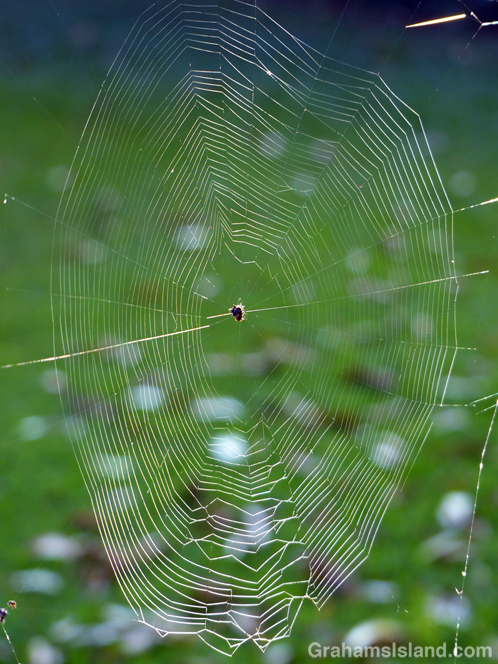 Their webs, which often span a 10 or 20 foot gap, seem especially strong and sticky. For more information about crab spiders, go to gardenguyhawaii.com/2011/12/crab-spiders.html. This entry should come with a warning: Beware, close-up ahead!